There's a very good reason why Slovenia has the word “LOVE” right in the middle of its name: because if you visit there, you will fall in love with it as well. I firmly believe that it is no coincidence. I visited this hidden gem of Europe last summer, and found it to be one of the most beautiful places I have ever been to. So for this post, I would like to take you through a quick photo tour of this amazing country. If you go to Slovenia, you will most likely fly into Ljubljana. Be sure to spend at least a few days here, as it is a great city. 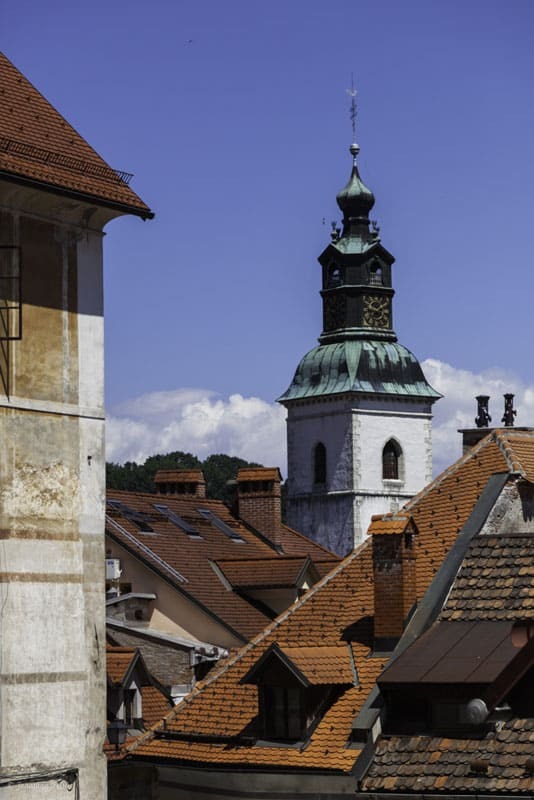 In the image above, you can see the Ljubljana castle, which overlooks the city. 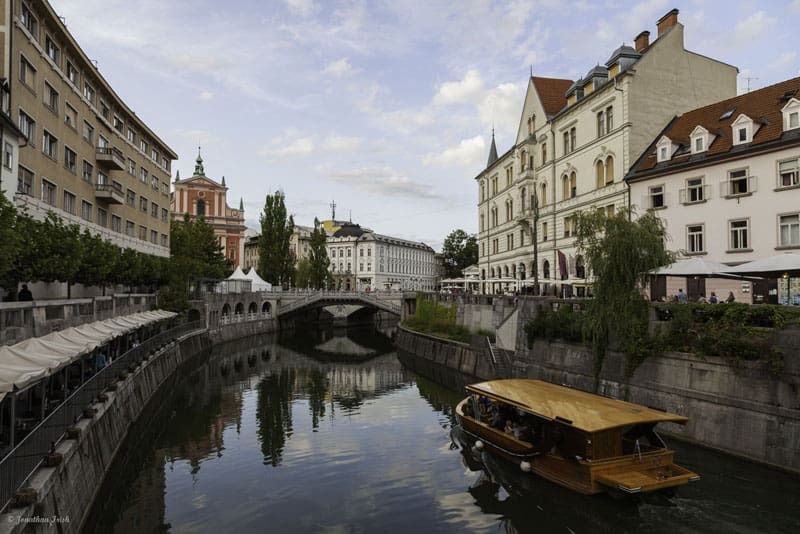 Ljubljana is set on the Ljubljanica river, which runs through the heart of it. You can take a boat ride through the city, or just wander over the many bridges that straddle the river. One of the most famous bridges is the Dragon Bridge. (Zmajski Most). There is one mythical legend that Jason (with his band of Argonauts) killed a dragon on his way to find the golden fleece. 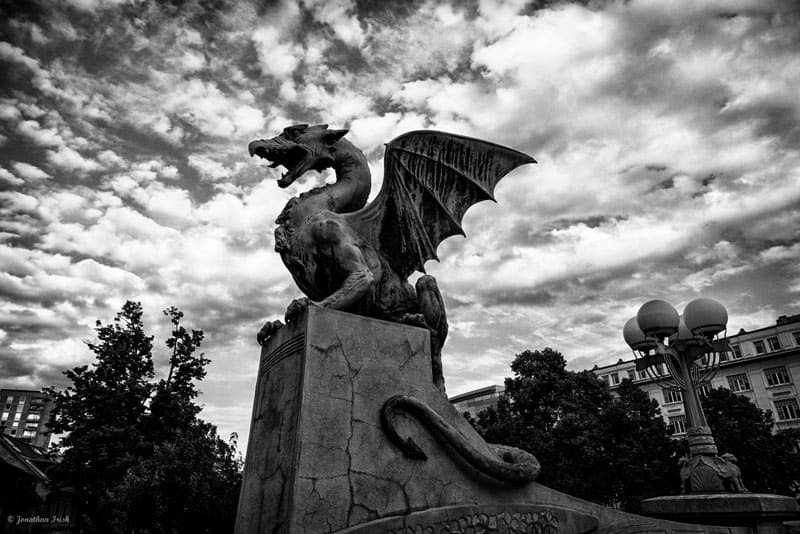 According to this legend, he later founded Ljubljana, and the dragon became the symbol of Ljubljana. Mestni Square (Mestni Trg) is the center of the medieval section of Ljubljana. You can also see Saint Nicholas' Cathedral in the background. 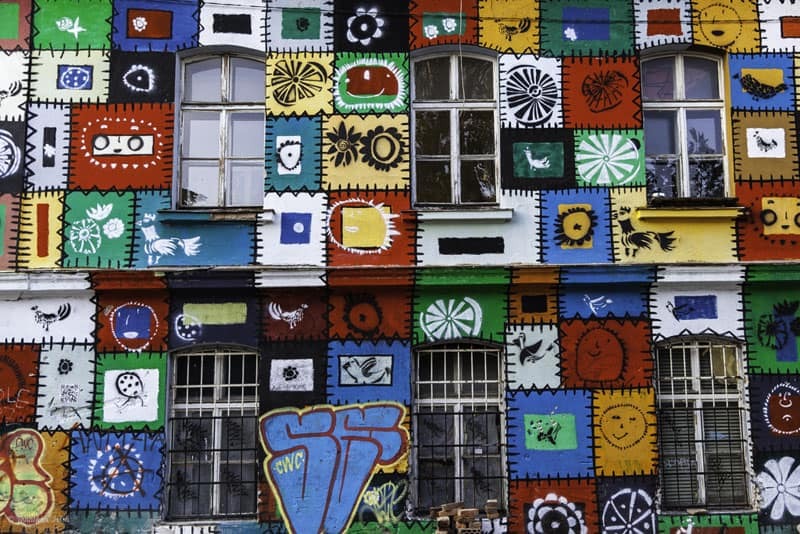 I love this colorful shot of the graffiti in the Metelkova City cultural artist centre. Not many tourists visit this area of Ljubljana, as it is a bit out of the city center. But if you go to Ljubljana, I highly suggest a visit here. There's a lot of great graffiti. I loved photographing the red-tiled roofs of this country. I shot this in the small city of Medvode. As you leave Ljubjana, I would suggest heading Northwest into the Julian Alps. On the way, you may see this beautiful church (Jamnik Church). Be sure to stop for a photo! 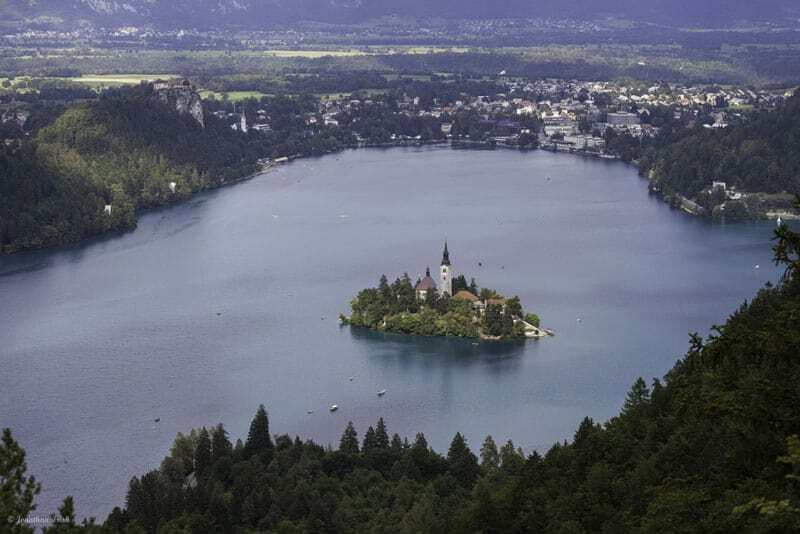 No visit to Slovenia is complete without a visit to Bled. This is the iconic shot of Slovenia. On the island in the middle (Bled island) is the Church of the Assumption. Here's a closer view of the church. I spent the day kayaking around the church and on the lake, and it was one of my favorite days of travel! Such a beautiful place. This is the small village of Kanal, with the Soca river running through it. I have to admit, this is one of my favorite images from my time in Slovenia. 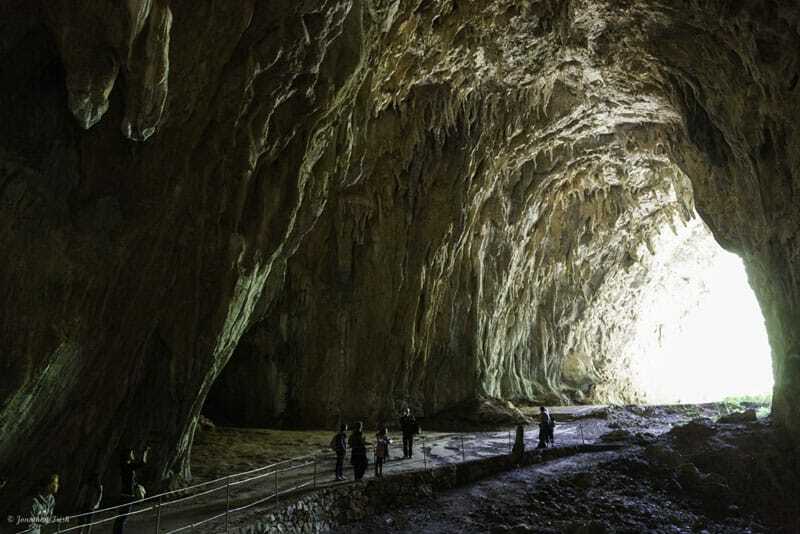 I'd also suggest a visit to the incredibly impressive Scocjan caves, a UNESCO World Heritage site. 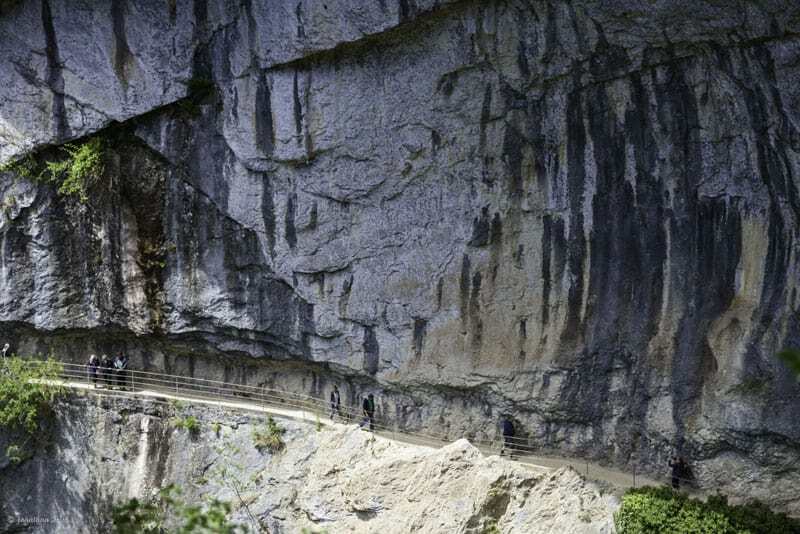 They are located in the southwest Karst region of Slovenia. Here's another view of the exit to the caves. 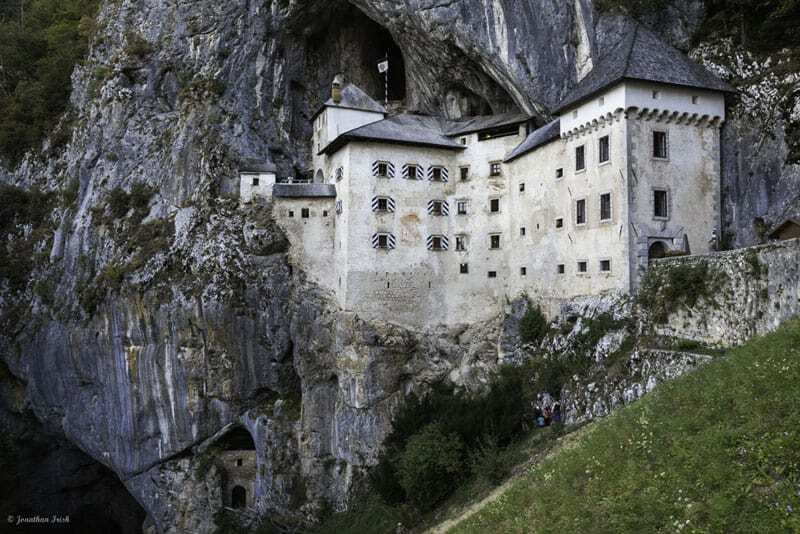 I leave you with this last image of the 12-century Gothic style castle, known locally as Predjamski Grad, in Postojna. Who doesn't love a medieval castle built into the side of a mountain?? I hope you enjoyed this short photo tour of Slovenia. I found it to be one of the most beautiful countries I've ever visited. And what surprises me more is that not many people know about it! Did this photo tour make you want to go? Jonathan Irish is a seasoned travel photographer who has traveled to over 65 countries and specializes in photographs of people, landscapes, abstracts, and, above all, cultures abroad. His work has appeared in various National Geographic publications, and he is represented by National Geographic’s Image Collection www.NationalGeographicStock.com/jonathanirish. When he is not traveling the world in search of amazing photos, he gathers inspiration from the other great photographers at National Geographic, where he is the Program Director for National Geographic Adventures Jonathan lives in Washington, D.C.
35 Responses to "sLOVEnia: A Photo Tour of this Hidden Gem"
Amazing photos! I am glad you loved Slovenia. Amazing photos! You did a great job! I am glad you loved Slovenia. I hadn’t noticed that Slovenia had the word “love” in its name! I just came back from a short trip to the lakes and I am happy to have discovered this so small country. I love the picture of the red tiled roof and the clock tower. Slovenia is naturally photogenic, but you did a great job! Wonderful shots Jonathan! Its look like Heaven. Fabullous Picture i hope in future i go there. Such a nice place so beatiful so natural. Spcially Church on island picture great place. very nice blog. -Acutally it’s not Medvode but Škofja Loka (http://en.wikipedia.org/wiki/%C5%A0kofja_Loka), the city I live in. The photo was probably taken on your way up to the castle. About the picture with red roofs. You took this photo in Škofja Loka, a beautiful old town. I live in Slovenia and talk to foreigners a lot; majority is astonished by it’s natural beauty so if you are into nature and so, it surely is a place to visit. 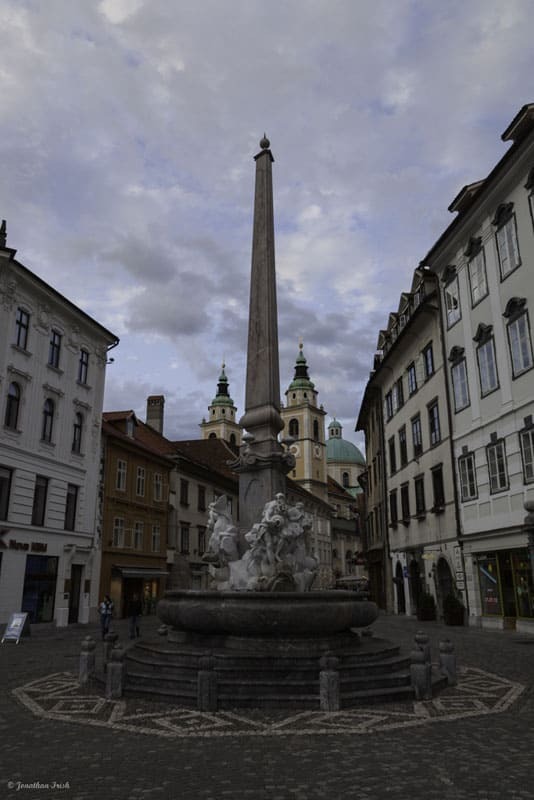 If you plan to relocate and start a new life here, many do, I can help you out with teaching Slovene, http://www.abecednik.si. 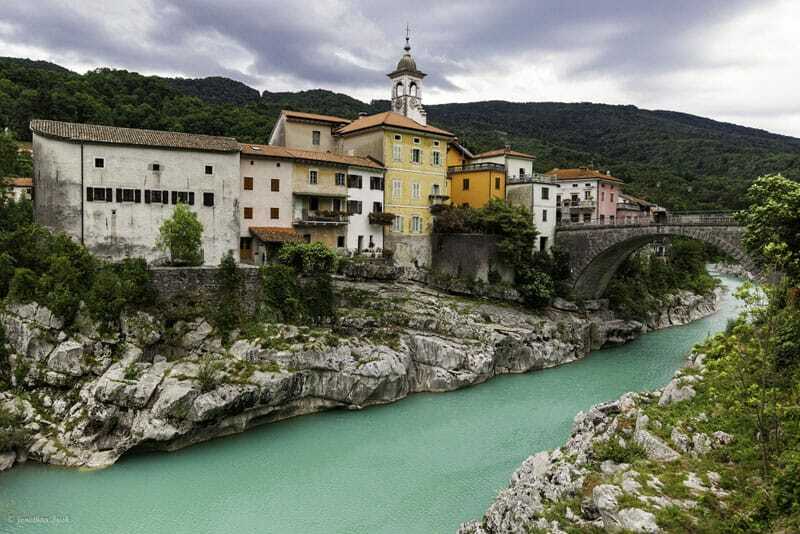 Slovenia looks incredible…it has now been added to my list of places to go! You always have such stunning photos. Great photos! The one with a dragon is my favorite. 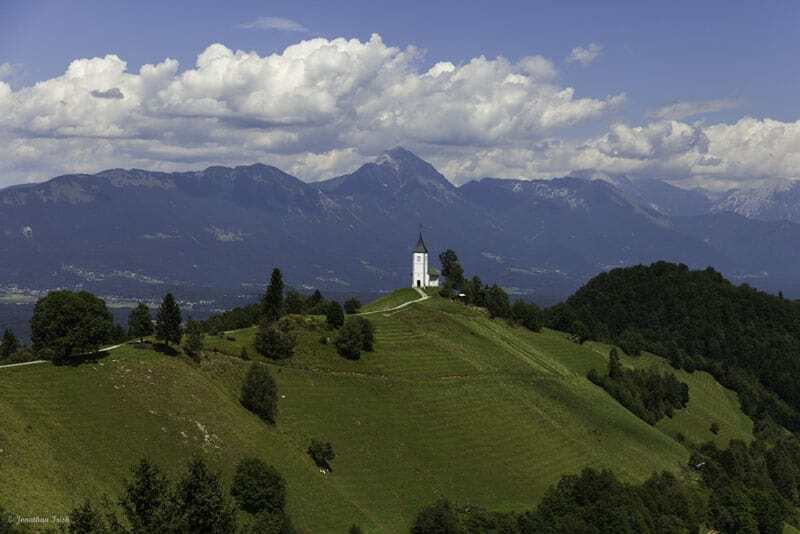 It seems you enjoyed Slovenia – it really is a gem of a country. Wow! This photos are stunning! I am love with your photos, very beautiful. Thanks for sharing. Wow, that’s so cool to hear. I’ll definitely be checking out your guide. You should leave a link here in case anyone would like to learn more. Cheers! Thanks Scott! This one belongs to Jonathan though, all his and he takes some amazing ones, we’re lucky to have him as a contributor, I look forward to every other friday to see what he’s sharing next! Wow, what an absolutely spectacular country! Thanks for sharing your photos. We’re moving to eastern Europe next summer and posts like this get me even more excited than I already am! There are just so many beautiful places to explore!! That’s amazing. You have a great adventure ahead of you. That’s what I love about Europe, there are so many places to explore and nothing is too far away. We agree. Slovenia is high on the list for us too. Wonderful shots Jonathan! Kanal was one of my favorite spots as well, quiet little town and not too many people venture out that way. @Filip…you should definitely go! Don’t keep putting it off. I’ve traveled a lot, and it is without a doubt one of my favorite destinations. I could very easily live in Ljubljana. @bob….you are lucky to live there! Glad to see that you enjoyed your stay. 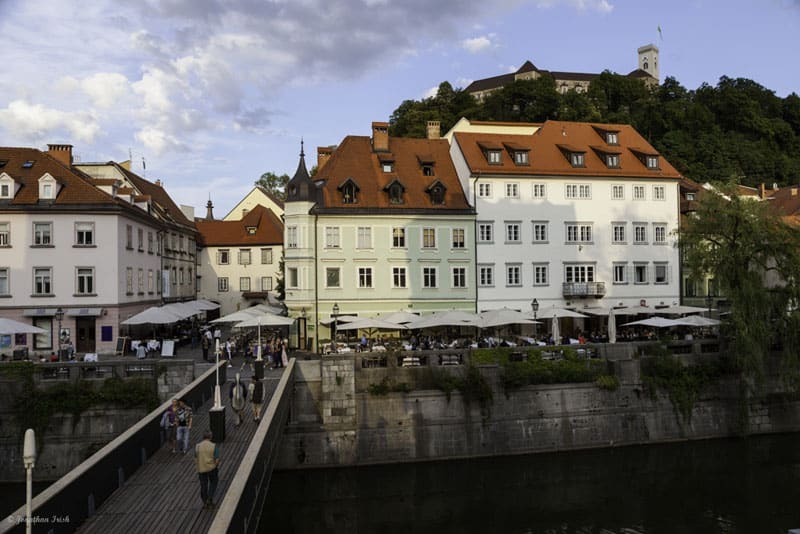 I’ve lived in Ljubljana for most of the past decade and have found that all visitors are very pleasantly surprised. These photographs are absolutely beautiful! I love the colorful graffiti. That church in the islet is beautiful. Love that shot! 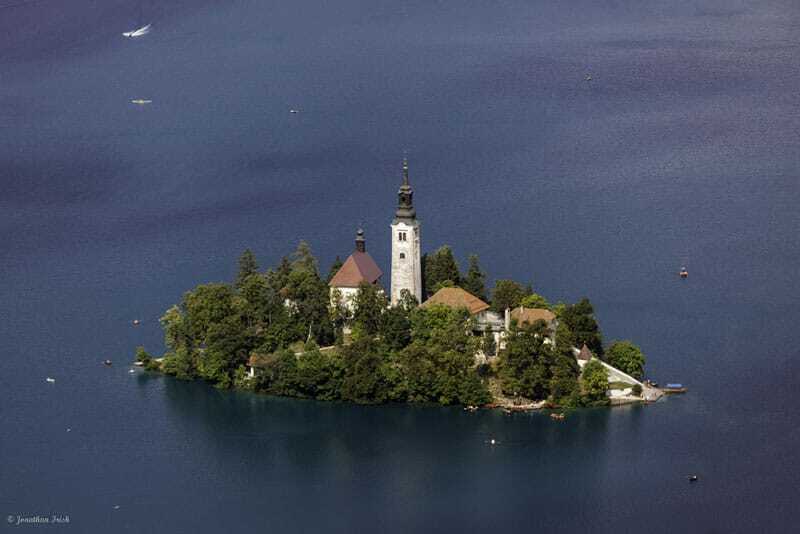 I love the aerial view of Lake Bled! Beautiful photos. I’ve been planning to going to Slovenia for years, but I always end up going somewhere else. It’s so close to Serbia but that trip get complicated every time. Thank for reminding me that I should finally visit it with these amazing photos. How long did you stay there?